The main focus of the exhibition, which comprises some 20 paintings as well as documents and autographs, is on the artist´s self-portraits. Since the Renaissance the self-portrait has been a central theme for many artists, including Albrecht Dürer, Anthonis van Dyck and Rembrandt. 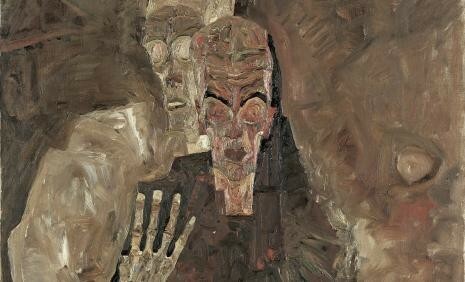 Schiele, however, transformed himself in his self-portraits. "Schiele often used himself as a model, changing and transforming his body into various shapes", explains Elisabeth Leopold. These transformations could best be described as "metamorphoses". The intensity with which Egon Schiele used body language as a medium of expression is largely unprecedented. According to Elisabeth Leopold "the depicted becomes a symbol of the dying man who becomes a hermit, naked and levitating". 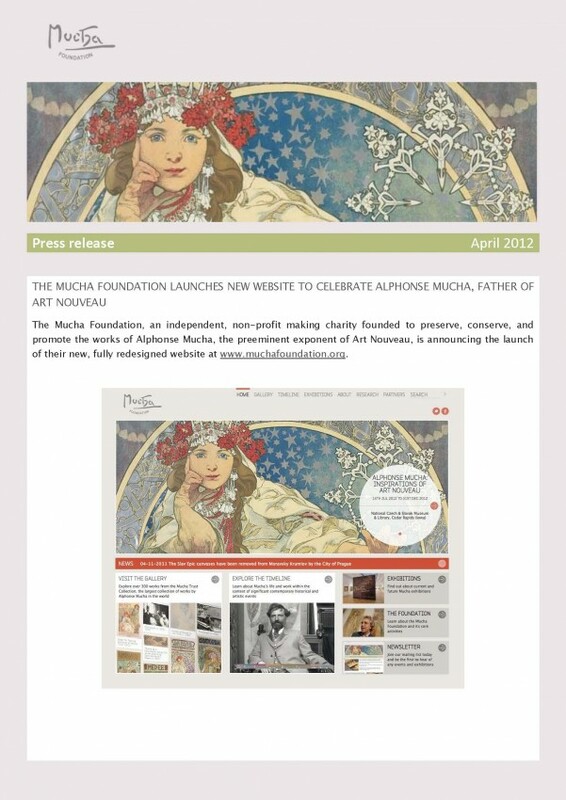 The Mucha Foundation, an independent, non-profit making charity founded to preserve, conserve, and promote the works of Alphonse Mucha, the pre-eminent exponent of Art Nouveau, is announcing the launch of their new, fully re-designed website at www.muchafoundation.org. The Mucha Foundation´s website has been rebuilt from the ground up as a comprehensive source of information for all things Alphonse Mucha. This new interactive portal includes a gallery that features over 300 pieces from the Mucha Trust Collection, the largest collection of works by Mucha in the world. In the gallery, the visitor will find not only Mucha´s well-known and beloved lithographs, but also a broad range of his oil paintings, sketches, sculpture, and jewellery. The online gallery will develop and expand to reflect the breadth of the collection, offering our visitors an encyclopaedic experience of Mucha´s achievements. The site features a dynamic, image-rich timeline of Mucha´s life within the context of contemporary historical and artistic events and shows how his artistic legacy has been protected and promoted by his family, leading to the establishment of the Foundation and its ongoing mission to celebrate his life and work. Visitors will also be able to learn more about the Foundation´s research and preservation work; future, current, and past exhibitions; and news of the Foundation´s efforts to promote and protect Mucha´s artistic achievements. Currently, the Foundation is organising an exhibition at the National Czech & Solvak Museum & Library in the United States, continuing to advocate for the conservation of Mucha´s masterpiece the Slave Epic as the dispute over the permenent exhibition space with the city of Prague rages on (The Newspaper, 5 April 2012), and is in talks with city officials to open a museum in Paris (Le Journal des Arts, 13 April 2012). 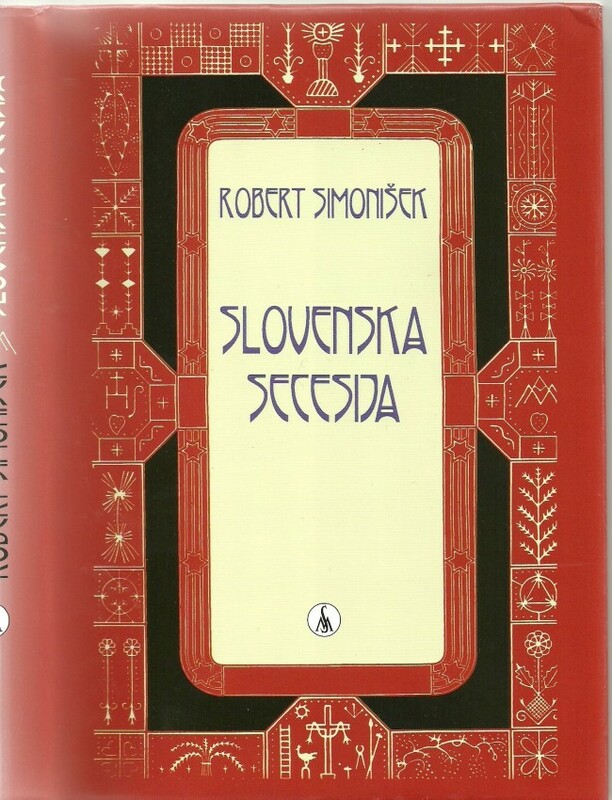 The book Slovenian Secession provides a new perspective which is reflected in the selection of artists included herein; it includes some names that art history has until now only discussed in the context of other movements. Analysing individual artists the interpretation points out their development, characteristics and elements that bring a painter, an architect or a sculptor closer to the Secession. The concept of ornamentation and the phenomenon of the "Heraclitian flux" are clearly analyzed from the universal perspective as omnipresent features in the fine arts of the period. The most typical figures of the period have been interpreted both in the context of visual art, as well as in the literary context. The style experienced numerous modifications which first manifested in the imitation of the elements of the Vienna and Munich Secessions, but later also in the omission and in the search of its own artistic expression. After five years of remodelling and restoration, in April this year Casa Masó - the house where the architect Rafael Masó (1880-1935) was born - will open its doors to the public. Masó reformed the family residence in two phases, first from 1910 to 1912, at his father´s request in order to unify the interiors and façades of three contiguous houses; then again in 1918-19, when his brother Santiago added a fourth house to the collection. Restoration has fundamentally consisted of recovering and reinstalling original architectural and decorative elements, as well as eliminating certain later structures that were not Masó´s work, so as to return the house to the appearance it had around 1920. The architectural language employed in Casa Masó had abandoned Gaudí´s organicism and was much closer to the Arts & Crafts movement and the new central-European Regionalist architecture, with a predominance of formal austerity and the incorporation of materials and techniques from local architecture. 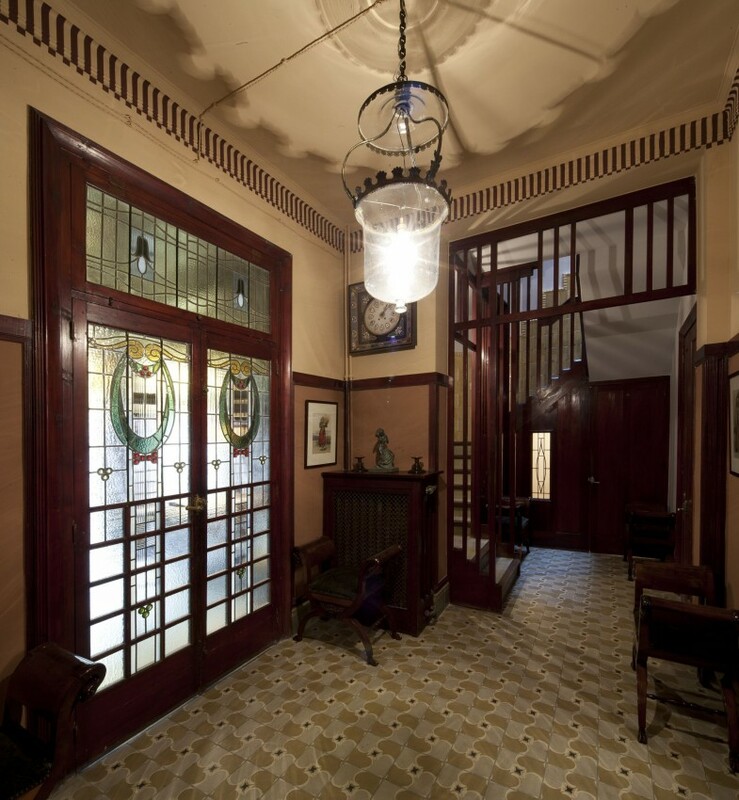 For this reason, the interiors, furnishings and decoration of Casa Masó evoke the work of architects who Masó admired, above all Voysey, Mackintosh, Baillie Scott, Hoffmann, Muthesius and Olbrich. In this sense, Masó´s work on Casa Masó is a small anthology of his contributions to the language of architecture and interior design, since here he could work without fear of rejection, striving to realise that which he and his generation upheld as ideal. As a noucentista (Noucentisme was the early twentieth-century cultural movement that reacted against Modernisme), in turn-of-the-century Girona, it was paramount to portray a certain image of modernity that was strongly anchored in mythical narrations of Catalonia´s historical and cultural tradition. The first temporary exhibition to be shown in the house includes Masó´s original drawings to renovate the building and the design of stained glass and furnishings. Visits to Casa Masó are always guided and in small groups, so it is recommendable always to book ahead. The Art Nouveau European Route continues to grow. Since our last general Report of 2009 (see "coupDefouet" issue No 14), the number of associate cities and towns has increased to a total of 70, after the incorporation of 3 more municipalities, these are Helsinki, Vienna and the Catalan town of Arenys de Mar. We also welcome eight new other institutions to the Route: the Bad Nauheim Jugendstilverein association; the Museum of Catalan Modernisme in Barcelona; the Regional Modern Art Museum of Cartagena; the Casa Lis Museum of Salamanca; the hotels Vila in Sòller and Sant Roc in Solsona; the Foundation for the Preservation of Dutch Art Nouveau Architecture, and the Philippine Heritage Conservation Society. Non-municipal associated entities now total 63. 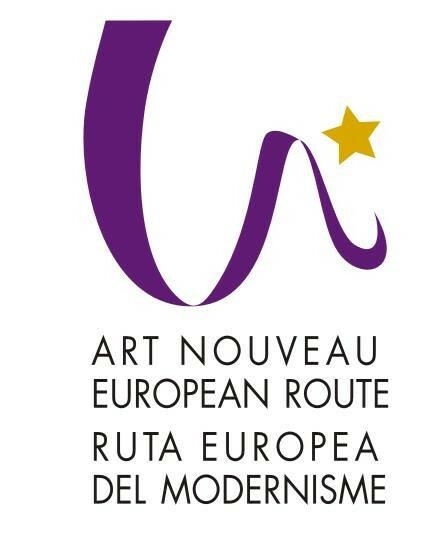 With 133 associated members committed to the diffusion, study, protection and improvement of Art Nouveau heritage, the Art Nouveau European Route is the largest international association in this field.